Developing a drug requires to demonstrate its efficacy in preclinical and clinical studies but also to characterize its pharmacokinetic properties. Among them, absorption, distribution, metabolism and elimination benefit from the more and more widespread use of MALDI Mass Spectrometry Imaging in the pharmaceutical industry. If Quantitative Whole-Body Autoradiography is still a gold standard to support the design of radiolabelled clinical studies, its lack of molecular specificity limits the understanding of the distribution of the drug and its metabolites. On the contrary, the use of high resolution mass spectrometers such as FT-ICR MS allows a quantitative characterization of the metabolic profile of the drug at the tissue level in order to further understand its behaviour in the organism. As Mass Spectrometry Imaging does not require the long and costly synthesis of a radiolabelled drug, this label-free technique offers a unique opportunity to gain information about the drug and metabolite distribution in the earliest stages of research, making distribution a new tool for target validation or drug selection. Quantitative MSI allows pharmaceutical researchers to understand quickly drug pharmacokinetics at the tissue level and not only at the blood level, but also contributes to the mechanistic characterization of the drug by imaging at the same time the distribution of potential endogenous biomarkers supporting PK/PD studies. 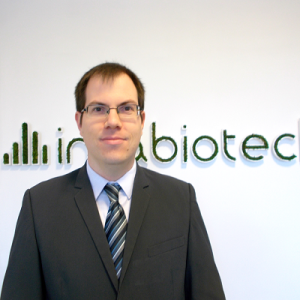 During this webinar, we propose to illustrate the potential of MALDI-FT-ICR MSI associated to ImaBiotech “Early Whole Body PK” bioanalytical and dedicated Multimaging software solution to understand and anticipate at an early stage target exposure, efficacy, toxicity or drug formulation selection. A brand new service to combine Bioavailability and Biodistribution information at an early stage to minimize the risk of failure of the drug. Keywords: Mass spectrometry imaging, Early Stage, PK/PD, Pharmacokinetics. After having obtained his Chemical Engineering degree during is Ph.D. at Paris Descartes University (France), he developed, as a Research Associate at the Faculty of Medicine of Imperial College London, untargeted and semi-targeted mass spectrometry-based approaches for lipidomic characterization of brain tissue samples by liquid chromatography mass spectrometry to understand better the physiopathology of Alzheimer’s disease. After four years at Servier where he contributed to the drug distribution strategy and managed the Mass Spectrometry Imaging facility, he joined our team in 2017 as the laboratory manager of the European facility.